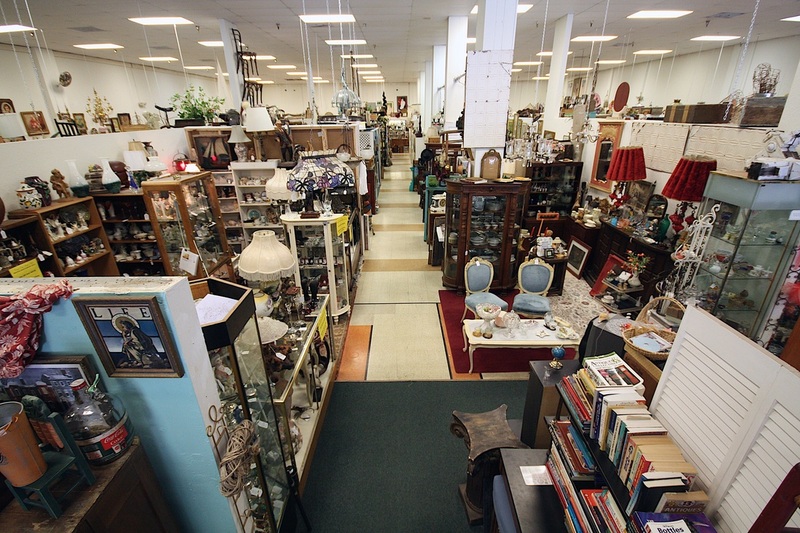 Monday thru Friday: 10 a.m. to 6 p.m.
We are a 10,000 square foot multi-dealer Antique Mall located in southwest Broward County, easily reached from Plantation, Davie, Miramar, Pembroke Pines, Wilton Manors, Weston, Sunrise, all of Broward, and just 10 minutes from the Miami-Dade County line. We carry fine quality antiques to meet every taste. We consider antiques "The Original form of Green”. In addition to Antique Furniture and Decorative Accessories dating back to the 18th century, we carry Antique and Vintage Furniture, Glassware, Cameras, Primitives, Jewelry, Hardware, Textiles, Books, China, Porcelain, Collectibles, Paintings, Prints, Lamps, Chandeliers, Dolls, Telephones, Typewriters, Mid Century Modern, Militaria , Danish Modern, Victorian, Architectural Iron and Garden Accessories plus so much more! Welcome to the Cooper City Antique Mall, home of dozens of antique dealers and vendors serving South Florida with vintage furniture, medical antiques, art deco items, industrial antiques, mid-century furnishings and furniture, and more right here in the heart of the Fort Lauderdale and Miami area. 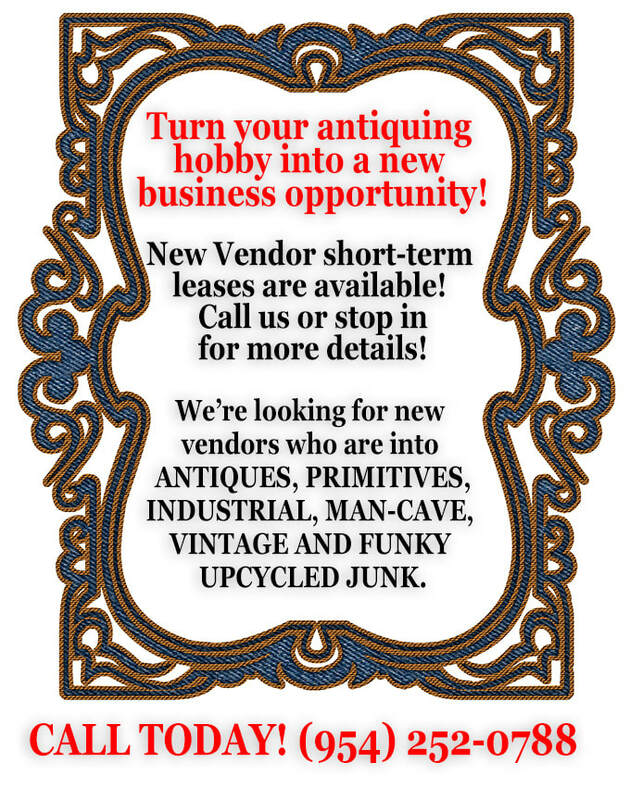 We have thousands of unique and some one of a kind antiques including painted furniture, vintage clothing, hardware, industrial salvage items, shabby chic furniture, industrial chic and steam punk, architectural salvage, and garden décor. Join our growing list of followers on Facebook (see link above) to learn about the latest items such as vintage lingerie, vintage jewelry and costume jewelry, militaria, antique collectibles, and more exciting gifts and treasures. Serving Cooper City, Davie, Plantation, Pembroke Pines, Weston, Fort Lauderdale, Miami Lakes, Wilton Manors, Boca Raton and all across South Florida for many years, we invite you to visit us, and spend some time browsing our extensive inventory of antiques, mid-century and collectible items seven days a week. If you don’t see what you want, please use our Wish List in the store to let us know what you’re looking for and we’ll be glad to let you know when we find it. Thank you for visiting our web site; we hope to see you soon! *Including Lladros, Swarovski, Limited Editions, and Waterford.